LITTLE ROCK come get social ✌️, Tuesday April 10th 6pm at The Meteor Cafe! Our team will be hanging out at the CATA monthly social and we want to meet you! Come say hi and cheers! Rain, wind and freezing temperatures are not the typical southern-style charm that rolls out each spring for the Sunny King Criterium in Alabama. Strong fields for the men and women turned out no matter what the weather for the 16th edition of the “king of all crits,” and the first of 20 events for the Pro Road Tour. 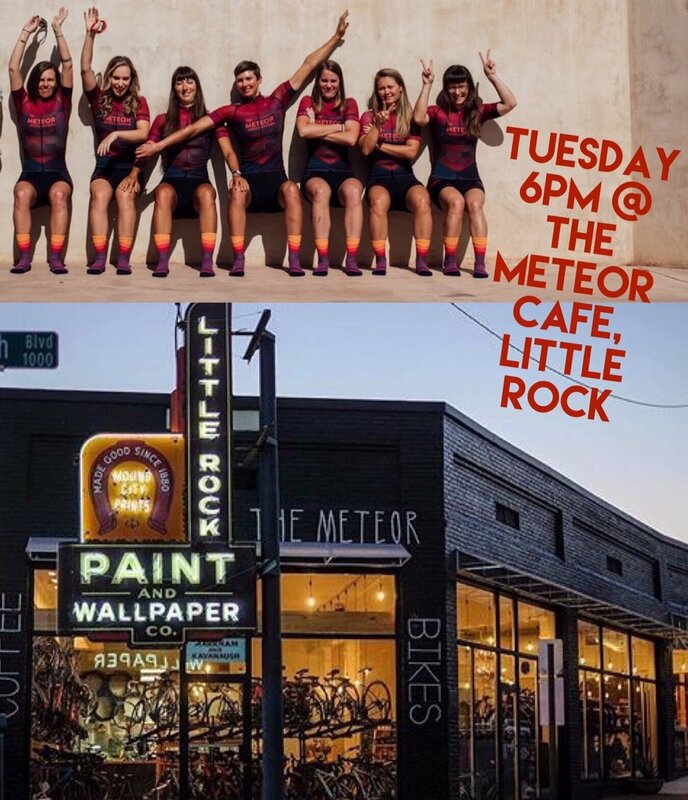 The Meteor and Intelligentsia Coffee headline a new team organized by veteran women’s team director and racer BrittLee Bowman. The Domestic Elite women's road cycling team features a powerful roster of 8 women who will be racing on the U.S. national stage in 2018 with a calendar including USAC Pro Road Tour races, UCI international events, and the USA CRITS Champ Series. The Meteor is a premier bicycle studio and café, with a thoughtfully selected assortment of the best bicycles and gear in addition to a scratch bakery, beer, wine, and, of course, Intelligentsia Coffee. With its first location in Little Rock, Arkansas, The Meteor has three more locations on the drawing board. “We are excited to be supporting these excellent women cyclists. I’m confident their strength, finesse, and determination will set a wonderful example for all athletes and bring The Meteor and Intelligentsia a bit closer to existing fans. And hopefully create some new ones!” says The Meteor founder and Intelligentsia co-founder, Doug Zell. BrittLee brings with her the continued support of upwards of 6 years from tubeless wheel and sealant manufacturer Stan’s NoTubes. Chris Currie, Creative Director at Stan’s NoTubes said "BrittLee's dedication to women's cycling is something Stan's NoTubes has always been proud to support, and we're excited to work with her new team in 2018. More people than ever are seeing the performance advantages of tubeless tires and rims on the road, and we're really happy THE METEOR // INTELLIGENTSIA will be helping tell our story and show people what tubeless can do." 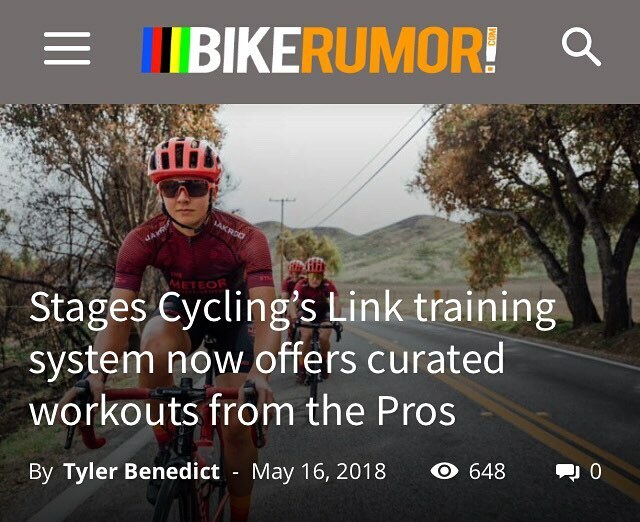 Other brands excited to support the project are; POC, Jakroo, Stages Cycling, Clif Bar, BikeFlights.com, IRC Tire, Focus Bikes, Ridge Supply, Feedback Sports, Strava, The Rover Cycle Co., Bruce Paly Dentistry, and Gavilan BFF/ RadicalVelo. The team is also partnering with JAM Fund through a series of grants. A goal of JAM is to create more opportunities for amateur women to compete on the national and international level. The team and JAM are aligned in the belief that creating positive role models through elite women in the sport helps bring more young women and girls to cycling and creates strong individuals who contribute to their communities on and off the bike. Kicking off the season with an early March training camp in Ventura, CA the team will come together for base miles and team bonding. The team includes three non-USA riders; Jessica Mundy (AUS), Harriet Owen (UK), and Kirstie James (NZL). Jessica joins THE METEOR // INTELLIGENTSIA from team Colavita/Bianchi and is looking forward to her third season of U.S. racing. Harriet hails from Oxford, England where she previously raced on Matrix Cycling, she brings with her a rocket-like sprint. BrittLee teams up again with former teammates: Cynthia Frazier, Nicole Mertz, Daphne Karagianis, Kristen Arnold, Kirstie James and she looks forward to developing this team into a force to be reckoned with. The team welcomes Sport Director Drew Christopher. When not leading the team on racing strategy, Drew can be found trading cryptocurrencies and smothering his food in sriracha while drinking copious amounts of black coffee. Drew brings a wealth of knowledge from his years of racing at the UCI level both domestically and internationally. "I have watched these riders develop for years and am looking forward to working directly with this talented group of women for 2018. Women's racing is in a good place and it is consistently fast, dynamic, and very fun racing among the peloton. Using an approach that differentiates the way tactics and strategy works in women's fields, I am excited to see what this team can accomplish this year." The racers, known well among the U.S. criterium racing circuit, are excited to also include stage races in their 2018 calendar; Chico Stage Race and Joe Martin Stage Race (UCI). THE METEOR // INTELLIGENTSIA make their first appearance in their new colors at the starting line at Chico this March. The team seeks to achieve the best results possible while carrying out a unifying goal of embodying positive and powerful role models, on and off the race course. These women are committed to teamwork, pushing athletic limits, building confidence, expanding horizons, setting and achieving goals, and developing as individuals and a team.